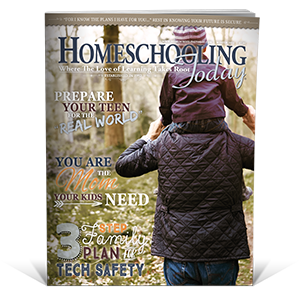 Homeschooling Today® magazine, published four times per year, is one of the most comprehensive home education magazines available, with a special focus on literature, fine arts and usable resources. Our goal is to encourage the hearts of homeschoolers and give them tools to instill a love of learning in their children. Payment is ten cents per published word for original, unpublished works in print publications. We acquire first North American serial rights and nonexclusive electronic and reprint rights for previously unpublished work. The author retains the copyright to his own work to use it for personal purposes (author’s websites, future publications, and so forth). We do not accept queries or reprints at this time. We accept unsolicited articles submitted as a Word or Pages document attached in e-mail (editor@homeschoolingtoday.com).